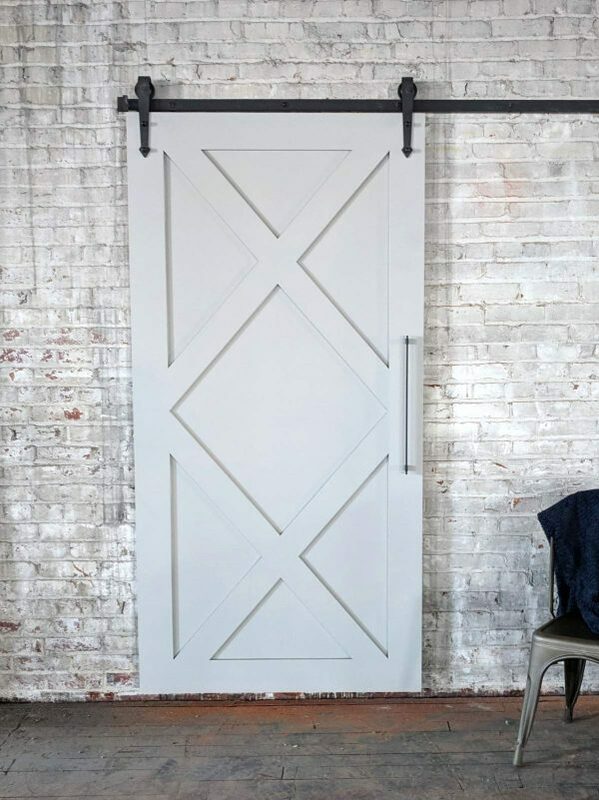 Beautiful interior painted double x barn door – hand made and painted. Customers enjoy a simplified shopping experience due to all hardware included in price. Gives all the benefits of a sliding barn door but with the contemporary/modern clean look you desire. *NOTE: design is only one sided due to weight constraints of a solid wood door. Customers can request a custom size, style, stain, wood, or paint. Please contact us for details. Space Saver – Sliding doors are most popular for their ability to save space in the home or office setting. There is no longer a door arc, as a result, it uses less space. Barn doors simply slide along a track rather than swinging open and closed. Environmentally Friendly – Our barn doors are constructed from real wood; hence, a durable, naturally renewable, and most of all an eco-friendly resource. 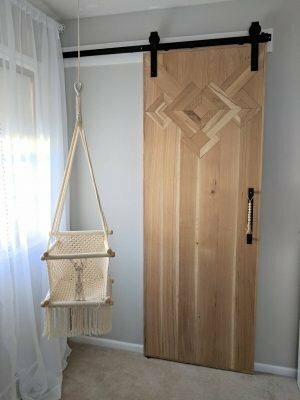 Style – In addition to the ability to incorporate barn doors well with most architectural styles, they are also pleasing to the eye and extremely functional.